Coconut Lime Cookies - Chocolate Chocolate and More! Coconut adds texture and flavor to these tangy lime cookies. Roll Coconut Lime cookies in decorator sugar for a tea time treat or roll out and cut into fun shapes for the kids. A few weeks ago a friend of mine made me a Godzilla cookie cutter with his 3-D printer. How cool is that? I asked our Facebook fans what shapes they’d make and one said King Kong so he could beat my Godzilla! Of course, we’d need a gingerbread Empire State Building and a Barbie doll for them to fight over. A new cookie cutter deserves a new recipe right? 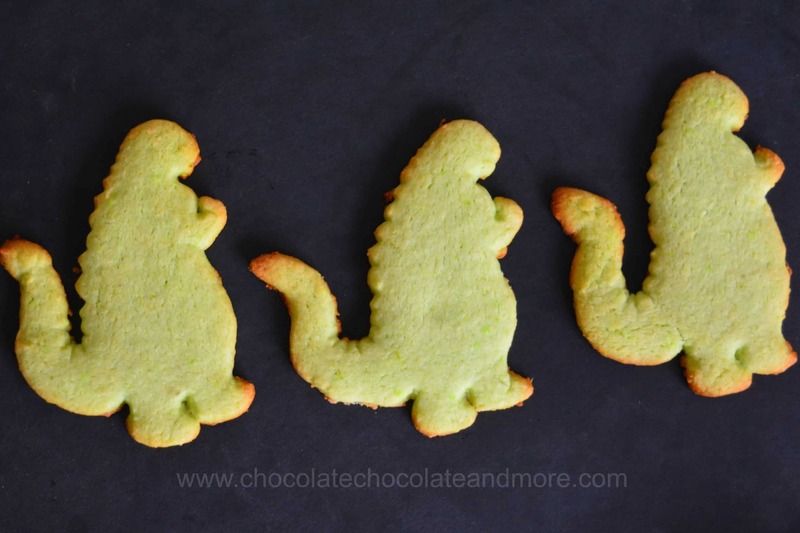 Godzilla is green so these cookies needed to be green. Lime zest gives a nice green hue to baked goods and lime is cheap here and I like lime. A lot of my friends are socked in with extreme cold so I thought I’d add a little coconut for a tropical touch. There isn’t much coconut so the flavor doesn’t come through but it adds a nice texture. I thought that the coconut might interfere with cutting the cookies into shapes. The dried unsweetened coconut here is grated pretty fine so it didn’t affect my rolled cookies too much. The edges are a little less defined than sugar cookie dough but you can still tell he’s Godzilla. If your dried coconut has large flakes and you want to make shapes, then you might want to food process it a little to make it finer. The green color of these coconut lime cookies was so pretty, I wanted to make some tea cakes. So I rolled some of the dough into 1-inch balls and rolled the tops in decorator sugar. I love the stunning effect! I think I’m going to ask my friend to make me a shamrock cookie cutter so I can make some of these for St. Patrick’s day. This recipe makes A LOT of cookies – 5 dozen of the small, round cookies. If you’re making big cookies like Godzilla, it will make much fewer cookies but definitely enough for a bake sale. I divided my dough in half and kept some for later. I hope you enjoy these summery cookies as much as we did! Mix in the rest of the ingredients to make a soft dough. For rolled cookies refrigerate several hours before rolling to 1/8 inch thickness and cutting with cookie cutters. For molded cookies, roll into 1-inch balls and roll in sugar or decorator sugar. Place cookies on greased cookie sheets or cookie sheets lined with parchment paper. Bake at 350°F for 14-16 minutes or until just browned around the edges. 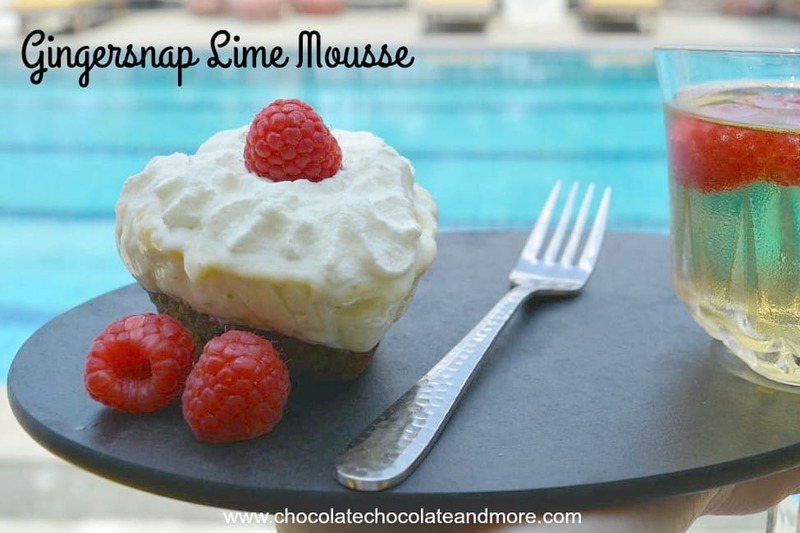 Looking for more lime recipes? 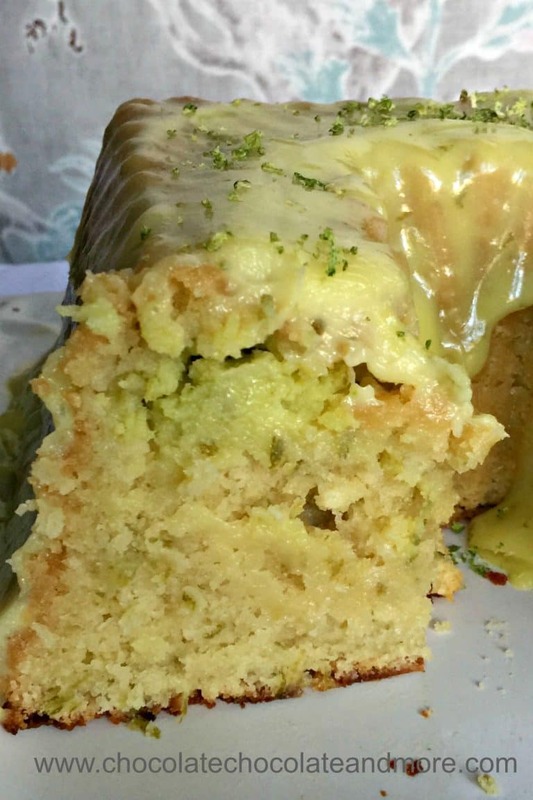 You have lime zest mentioned twice. Is one of them supposed to be lime juice? You have lime zest listed two times. I assume the 5 tbsp is actually lime juice. Please review and correct. Hi Sandi. I fixed it. sorry for the typo. The recipe for Coconut Lime cookies you have on the Ing. list 1 1/2 tbsp lime zest and also 5 tbsp lime zest. Is one of those supposed to be lime juice? The 5 tablespoons was supposed to be lime juice. Sorry for my typo. 2 amounts of zest – which goes where? I would definitely want to try this. Can I just ask about the 1 1/2 tablespoon of lime zest and the 5 tablespoon of lime zest. Is one of that meant to be lime juice? Yes, you are correct. I was a bit rushed when I typed up the recipe. 5 tablespoons of lime zest would be a LOT! Sorry for the mistake in the recipe. The 5 tablespoons was supposed to be lime juice not lime zest. I just love anything made of coconut.And I like lemon too.When both are in one recipe can’t wait to taste!